A spin-off series to the number one bestseller in Japan. 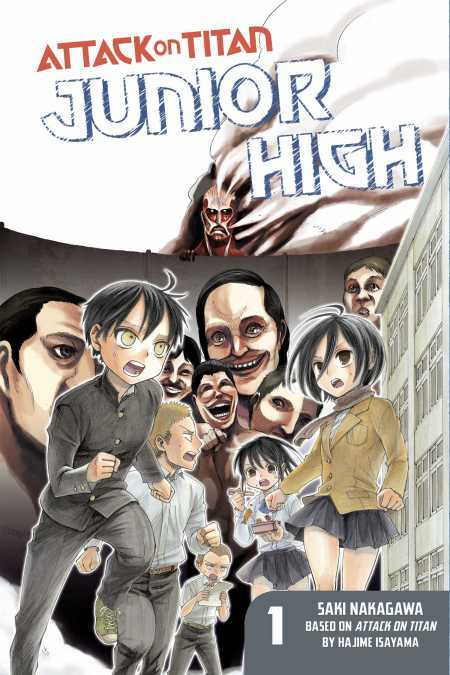 Eren and Mikasa enter a new school—Titan Junior High! However, Eren's hated Titans for years—can he get along with his new (harmless?) classmates? Featuring all of the characters from the main series as you've never seen them before, this series is sure to delight fans of Attack on Titan with a human vs. Titan volleyball match, a Titan rock band, and much more!